Moscow’s Red October district not only has an infamous history, this is now the hub of the city’s nightlife. Just ask any Muscovite who fancies himself “hip,” and most likely they’ll direct you to Red October. Just a fifteen-minute stroll from Red Square, the district is a compilation of red-painted buildings that are home to some rather unique clubs and bars. Among the most upscale, Rai Club. This afternoon, I am meeting with two longtime friends and fellow sommeliers, Lenka Kovaleva and Ksyusha Petrova. Since both women know the management at the Rai Club, we were allowed to hold our tasting prior to official opening hours. Rather than pick three chic Champagnes that are typically selected from what is considered to be among the world’s best, the ground rules laid out that we had to think from outside the box. So Lenka could not pick a Champagne from her favorite, Perrier Jouet, Ksyusha could not select from Louis Roederer, the top choice of most Russians, and I could not go with my standard, Bollinger. Considering that Russians consume more Champagne than any other country, and have done so since the imperial days of Tsar Peter the Great, I felt that I was in the best company to explore the wold of Champagne. This is an interesting blend of 80% Chardonnay and 20% Pinot Noir. To begin with, the exquisitely designed, very proudly feminine shaped bottle, is indicative of the high quality independent female run Champagne house. 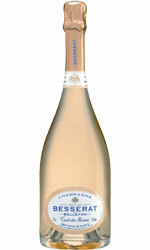 The Grand Cru Prestige Cuvee is vivaciously elegant and crisp. There are lush pastry undertones that will please even the most discerning palates, and at the same time, tickle the fancy of those who like to taste beyond the mainstream of Champagne. This is the ultimate indulgent gift for women, made by women. “So noted,” I chuckled softly as I fed Lenka a strawberry. “I like the wine’s firm acidity, toasted hazelnuts, and just a hint of coffee on the palate,” Lenka nodded her approval. I decided on a real stretch for me. My selection was a Besserat de Bellefon Blance de Blancs. This is an exceptional quality non vintage wine, 100% Chardonnay grapes and an alcohol content of 12%. At first sight I was immediately drawn to the color. Our Champagne was a very pure bright yellow with golden highlights. To add to the Besserat de Belleton’s allure, were nice bubbles, and an intense nose that revealed citrus notes, and well-developed toasted aromas. This wine was ample and well-structured on the palate. Both Lenka and Ksyusha nodded in agreement. “A fine wine indeed,” they chanted in unison. Our last wine had been selected by Ksyusha. 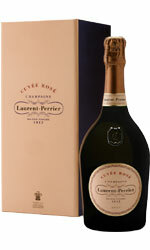 She decided on a Cuvee Rose Brut Champagne by Laurent Perrier. It is 100% Pinot Noir and 12% alcohol. This stunning saignee rose is easy to find anywhere and most appropriate for those impromptu romantic moments. This is a best-selling Champagne and quite popular with most couples on Valentine’s Day. It is rich in color, fresh on the nose, lashings of summer fruits, redcurrant raspberries, and delicious citrus notes on the palate. “I find that one bottle is never enough,” Ksyusha flashed an almost mischievous grin. “This wine also pairs nicely with chocolates and cheeses,” Ksyusha was quick to add. Lenka nodded her approval. “The fruit is dominant in the mouth with first impressions being very acidulous and frank. I do like the large array of small red berries. “Grisha, I’d like a bird’s eye view of the sunset,” Lenka’s eyes crinkled softly. “The Sky Lounge?” Ksyusha queried. The Sky Lounge takes you up 22 stories to the top of the Academy of Sciences building on Gargarin Square, from where you can look down upon the whole of Moscow. Unsurprisingly, the view is breathtaking.